Takeaway: There has been an increase in costs across the board at the United States Patent and Trademark Office. In mid-November the United States Patent and Trademark Office updated their fee schedule increasing costs in many categories. The change will officially go into effect on January 16, 2018. One of the biggest changes in this fee schedule was to the Inter Partes Review (“IPR”) fees. The fees for requesting an IPR is up 72% from $9,000 to $15,500 and the IPR post-institution fee increased from $14,000 to $15,000. So if you decided to file an IPR it is important to be aware that a successfully instituted request will now cost you $7,500 more than it did previously. Another area with big increases (at least based on percentage increase) is in the Office of Enrolment and Discipline. Applications to register to practice as a patent agent or attorney is up 150% from $40 to $100 and the fee to register to practice after passing the patent bar exam doubled its cost from $100 to $200. As far as patent filings go, there will be a small increase for large, small, and micro entities. The filing fee for large entities went from $280 to $300, small went from $140 to $150, and micro went from $70 to $75. There are many more fees that changed and if you are in the business of dealing with the USPTO you can find a copy of all the changes at: https://www.gpo.gov/fdsys/pkg/FR-2017-11-14/pdf/2017-24390.pdf. In re: Micron Technology Inc.
Takeaway: The Federal Circuit officially determines that TC Heartland was a change in the law. In a recent decision by the federal circuit the panel decided that the United States Supreme Court’s decision in TC Heartland was officially a change in the law. There has been a split of opinion across the country in district courts as to whether TC Heartland actually changed anything. Some district courts ruled that TC Heartland changed venue laws and have allowed transfers even after parties would have normally waived their right to challenge venue. Other courts seemed to believe that there was no change because they held the decision in TC Heartland was just a reaffirmation of the current precedent. In the present case, if Micron Technology, Inc. had challenged venue before TC Heartland they would have been unsuccessful because the rule at that time allowed for patent cases to be filed in most district courts across the country. Because the objection to venue was not originally available (i.e. because their case was filed before the TC Heartland decision) to Micron Technology, the federal circuit determined that the normal waiver rule was inapplicable. This decision allowed Micron Technology, Inc. to challenge venue even though they would have normally waived their rights by this stage in the litigation. Now that the federal circuit has officially ruled that there was a change in the law post-TC Heartland, we can only hope that more clarity begins to appear at the district court level as to what constitutes proper venue in patent cases. Namely, courts can begin to paint a picture of what a regular and established place of business constitutes in the patent context. Takeaway: Any entity seeking safe harbor protection under the DMCA must designate a copyright agent through the U.S. Copyright Office’s new electronic system by December 31, 2017. The “Safe Harbor” provision (§ 512) of the Digital Millennium Copyright Act exempts certain entities from copyright infringement liability. As long as they follow the rules set out in the Act, online service providers will find that they are legally protected from infringement claims concerning user-generated content. For the purposes of the Digital Millennium Copyright Act, the term “service provider” means a company or other entity that transmits or routes user-chosen material. Given this broad definition, any entity that maintains an interactive website on which users can post or store information needs to take action to protect itself from copyright infringement liability. Online service providers will benefit from this immunity only if they cooperate with copyright holders to remove infringing material. To this end, the law requires that each online service provider seeking legal protection under the “Safe Harbor” provision must appoint a designated agent to receive notices of infringement from copyright holders. By December 31, 2017, all service providers must designate a copyright agent through the electronic system to qualify for safe harbor protection. Additionally, designations must be renewed every three years. For more information on the new agent directory, please see the U.S. Copyright Office’s website at https://www.copyright.gov/dmca-directory/. Takeaway: The Supreme Court’s determination of the constitutionality of inter partes review will govern the processes by which patents are reexamined after they are granted. This decision has enormous relevance to all patent owners and could pave the way for future patent reform. In late November, the U.S. Supreme Court justices heard arguments concerning the constitutionality of inter partes review, a type of adversarial post-grant reexamination of a patent that allows a challenger to request that an existing patent be invalidated. Since its introduction along with the America Invents Act in 2011, inter partes review has invalidated hundreds of patents and reduced the scope of many others. This type of proceeding has been both lauded as an effective tool against patent trolls and decried as a Sword of Damocles looming above legitimate inventors. In this particular case, Oil States Energy Services LLC v. Greene’s Energy Group, LLC , the plaintiff argues that the inter partes review process instituted by the America Invents Act violates the U.S. Constitution because it allows for an office of the executive branch to exercise judicial power. In this conception, patents are viewed as private property, and only Article III federal courts can take away rights to private property. Since the USPTO and its subsidiary Patent Trial and Appeal Board are a part of the executive branch, the plaintiff argues that inter partes review cannot extinguish these private property rights without violating the Constitution. While the justices recognize the importance of the separation of powers, they also understand the need for the USPTO to have the ability to correct errors. For this reason, even if the Supreme Court finds that inter partes review in its current state is unconstitutional, it might not completely abolish the practice or the Patent Trial and Appeal Board. Instead, the court might find that, while certain aspects or tactics of inter partes review are unconstitutional, the Patent Trial and Appeal Board could create a process with similar effect that is not unconstitutional. Therefore, the implications of the decision might not be immediately clear. While no decision has yet been handed down, the case could radically change the manner in which patents are reviewed and modify the role the USPTO plays in that process. Beginning January 1, 2018 Cislo &Thomas LLP will be changing their office location in Santa Barbara. 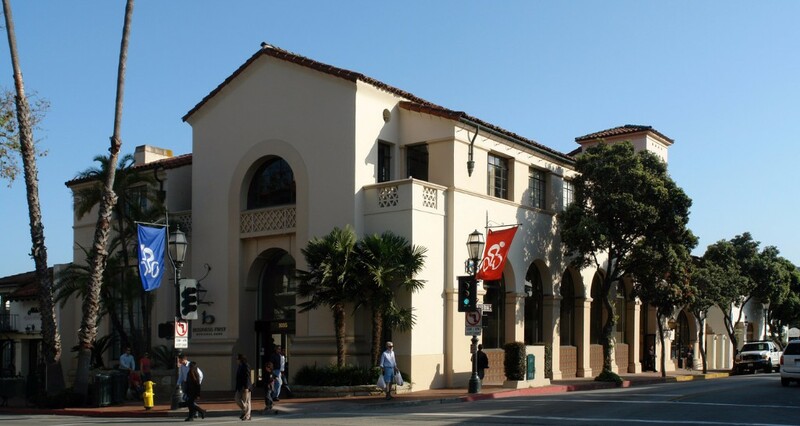 Moving forward our new office location will be at 7 W. Figueroa St. 3rd Floor Santa Barbara, CA 93101. We look forward to continue providing our intellectual property legal services to clients in Santa Barbara and the surrounding areas.